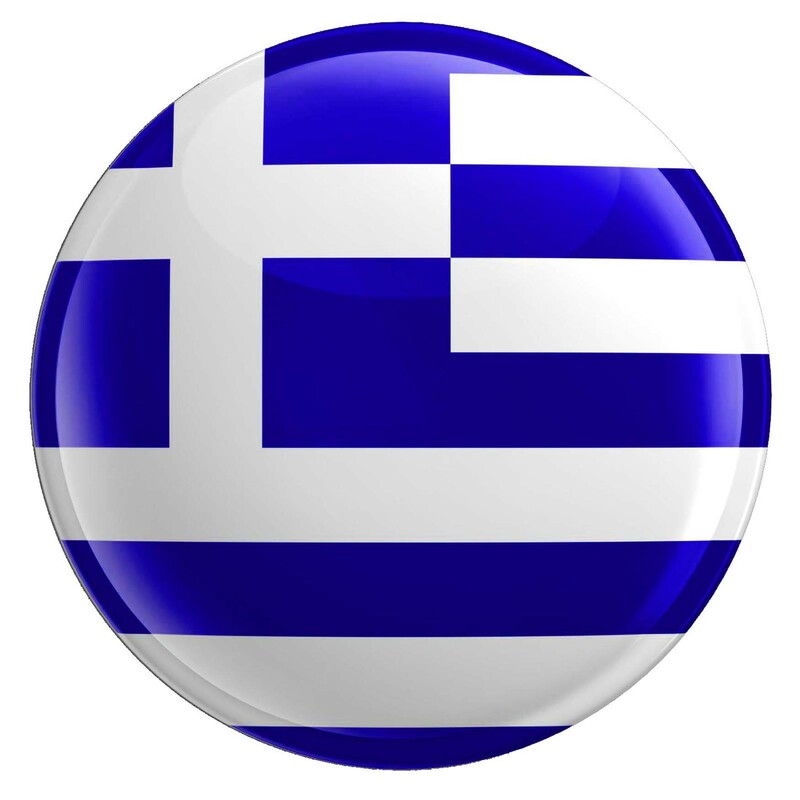 Welcome to Lefkada, the only island in the Ionian Sea which is connected by road to the Greek mainland through a floating bridge, and where there is free transport. 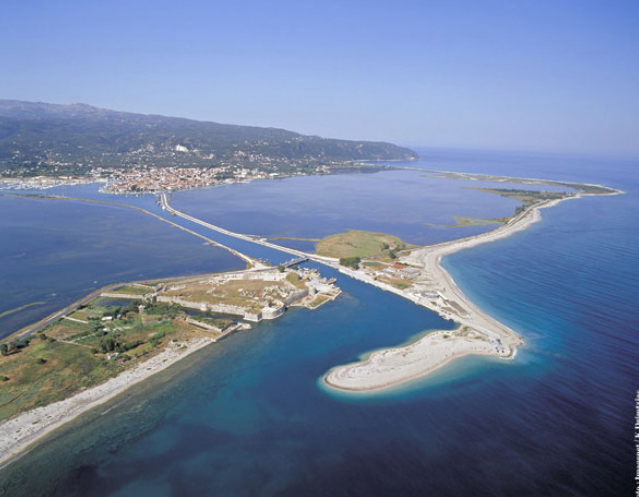 A road by the sea which leads from the bridge to the centre of Lefkada is approximately 1800 meters. 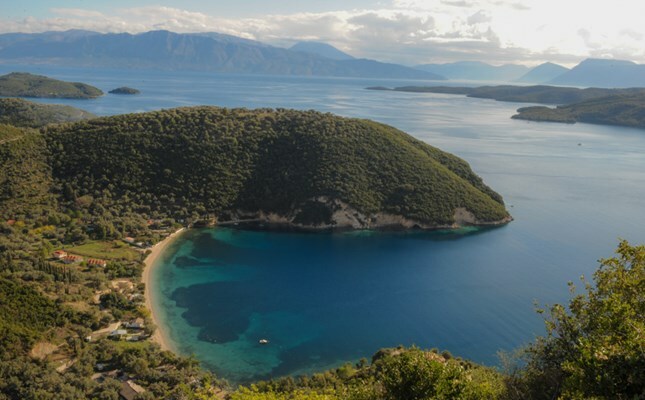 On the East coast of Lefkada, which is sheltered from wind, you can find the picturesque Akarnanika Mountains, calm sea, small hospitable beaches, beautiful coves, as well as Pringiponisia, all helping to create a landscape of unique beauty. Nydri and its homonymous bay on the east side of the island are one of the first areas on the island developed for tourism and from the beach visitors can have a look at the green islands named Prigiponisia which are dotted around in the calm waters. 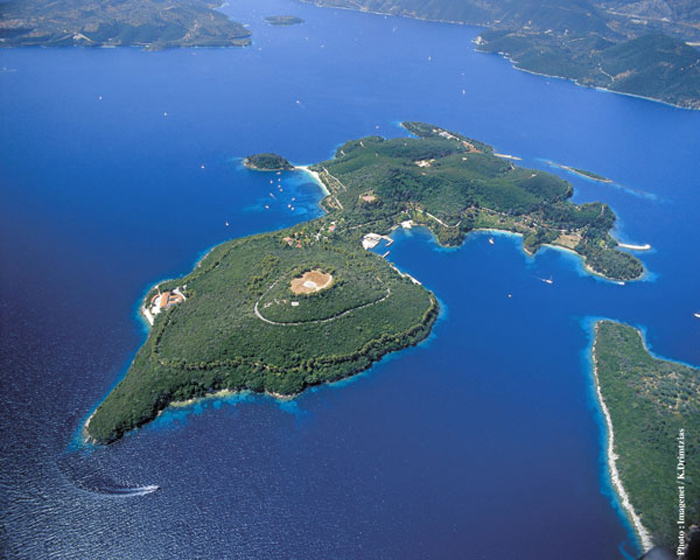 Nydri’s tourist development is mainly due to one of these islands, beautiful Skorpios, the island that belonged to Aristotle Onassis. One kilometer away, you can see Madouri, the wooded island home in the mid-nineteenth century of our national poet, Aristotle Valaoritis. You can even see his beautiful yellow stone house from the shore and visitors can take a tour of the bay and the islands by small motor boat. The beautiful green settlement of Geni definitely contributes to the beauty of the marvelous landscape. This wonderful peninsula plays host to numerous anchored sailing boats which comes here from all over the world. 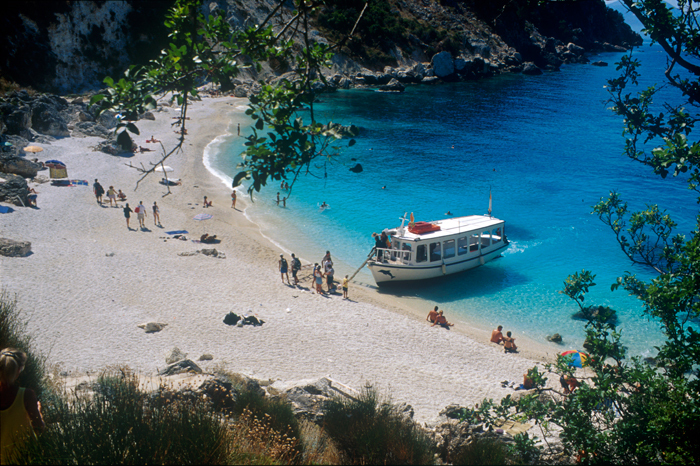 Desimi beach is located in a cove, on the external side of the Vlichos peninsula. It is a small and shaded beach, ideal for exploring by canoe and where you can discover the small coves and caves along the shoreline. 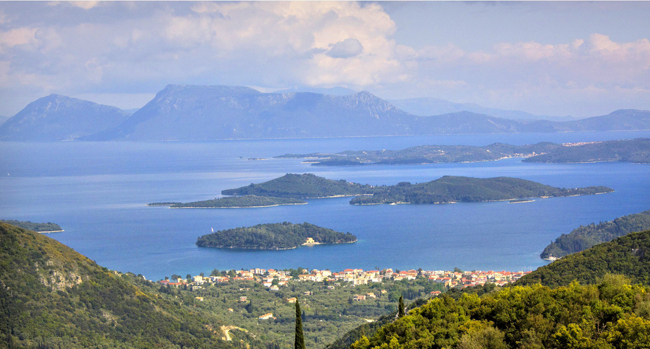 Turning left from Vlychos towards Rouda bay, you will find the picturesque village of Poros. In the cove of this peaceful bay, Mikros Gialos beach spreads out with its golden sand which meets crystal clear waters shining under the sun. 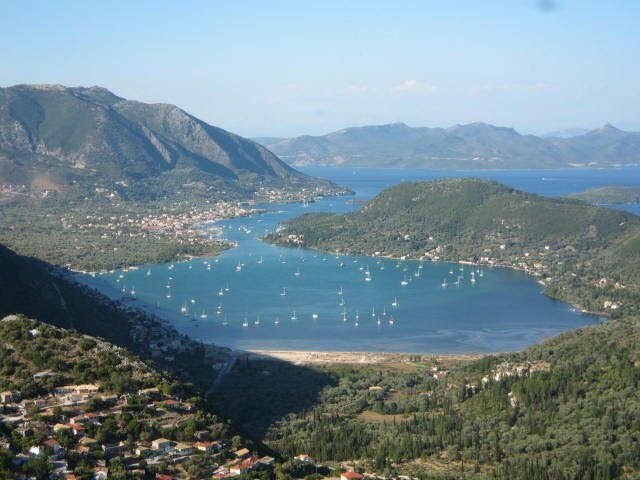 The village of Sivota has been accepted as one of the most picturesque coves of the whole Ionian Sea. Surrounded by hills full of olive trees, and the sea passing beside them, it is reminiscent of a Scandinavian fjord. 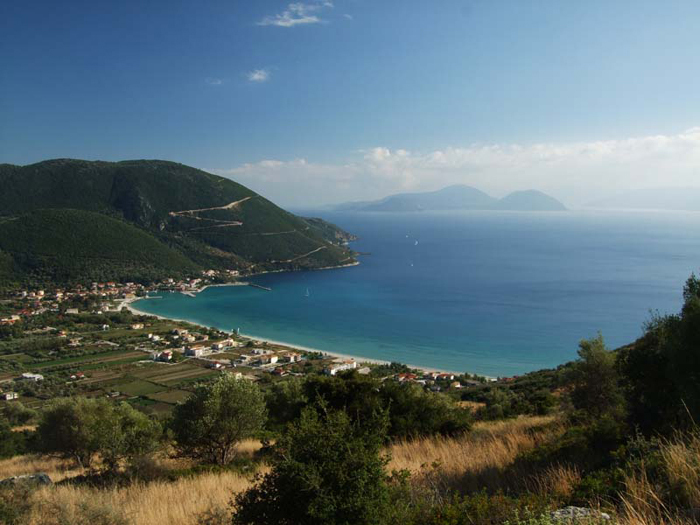 Vasiliki is built in the southwest side of the island in a large bay and in front of dense plains with a mountain background. 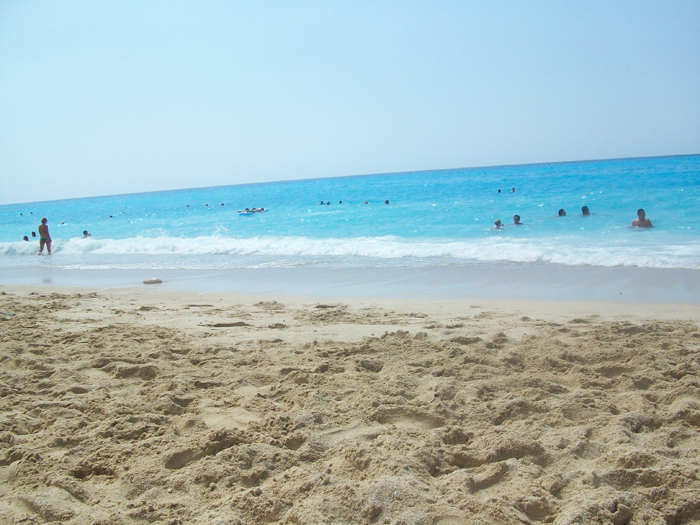 The village is developed around the harbour, while Ponti beach is ideal for surfers. 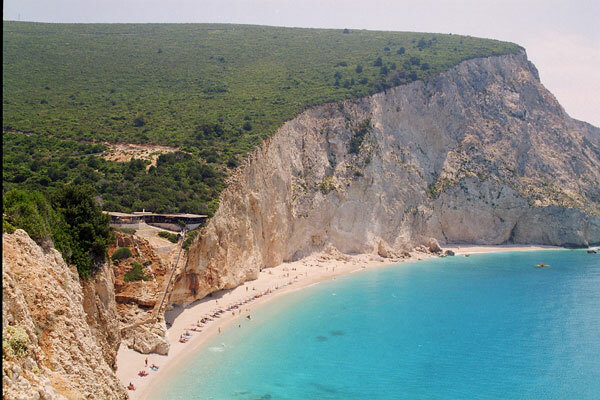 On the Eastern side of the island, in a beautiful bay, right opposite Ithaca, you will find Agiofili beach. 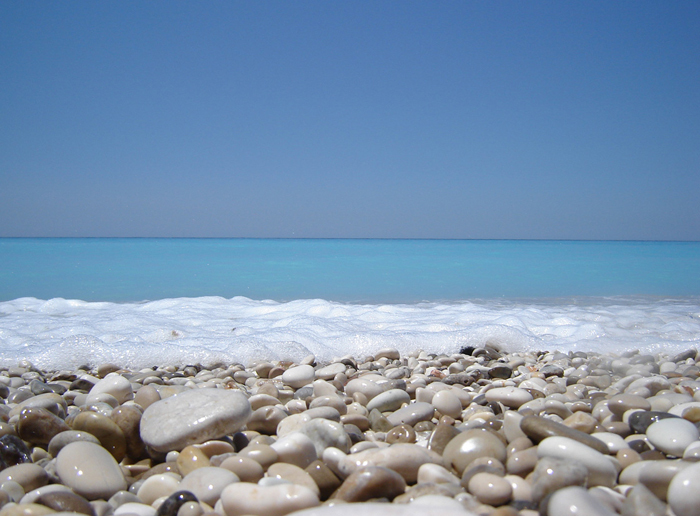 Lefkada has wonderful beaches of unique beauty which are famous worldwide and it is not a random fact that Porto Katsiki was, for three consecutive years, voted the most beautiful and clean beach of the Mediterranean. The West side of Lefkada seems to have surrendered to the unique blue Ionian Sea and the endless horizon.